Dog Kennel Doors - Tobyguard Run Doors by Dispomed - Have a Look! The Tobyguard kennel doors are hand-welded and polished with the best stainless steel quality that reflects the 5 year warranty of our product. The customized sizes are perfect for new clinics and for renovations with restricted dimensions. 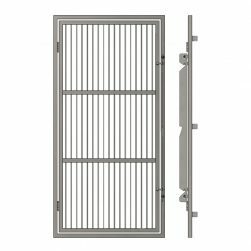 Whether it is for a small or a big project, the Tobyguard kennel doors will offer you quality that will last a lifetime! 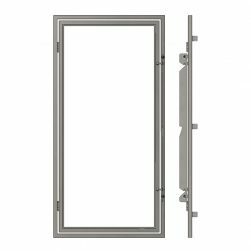 Tobyguard run doors are manufactured by Dispomed.